Interested in the art of improv? Then check out our upcoming event dedicated to improvisation, Bridging Gaps! 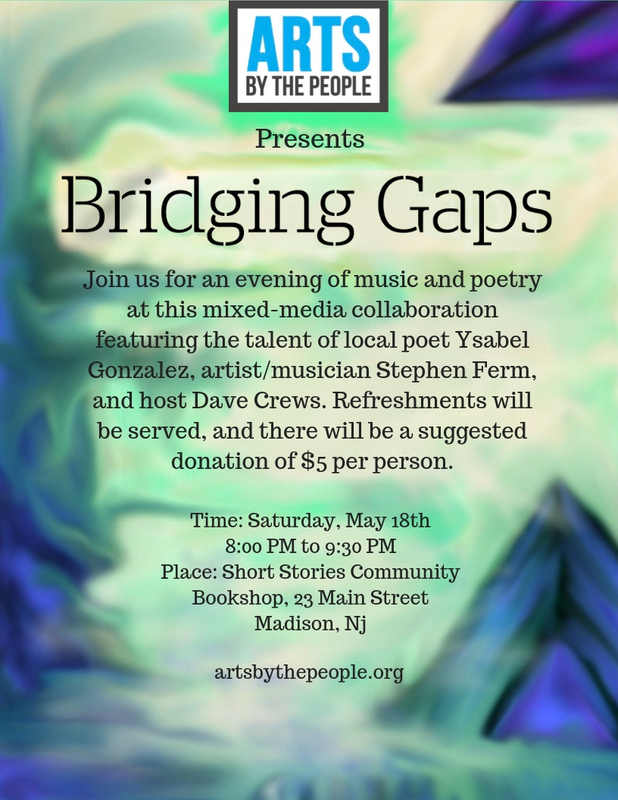 Bridging Gaps is an event that blends artistic media together and puts them in conversation with each other in order to explore the inner workings of artistic creativity. This event is free and open to the public with a suggested donation of $5 per person.